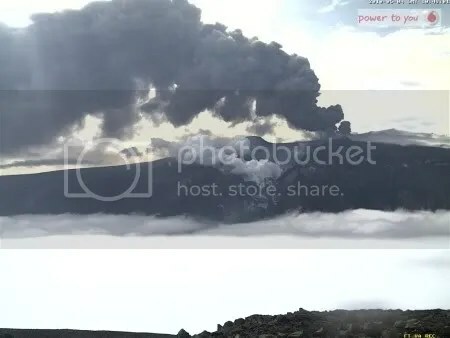 Yesterday the Icelandic Meteorological Office (IMO) issued a bulletin (PDF) on the eruption at Eyjafjallajökull which reported that ‘there are no indications that the eruption is about to end’. 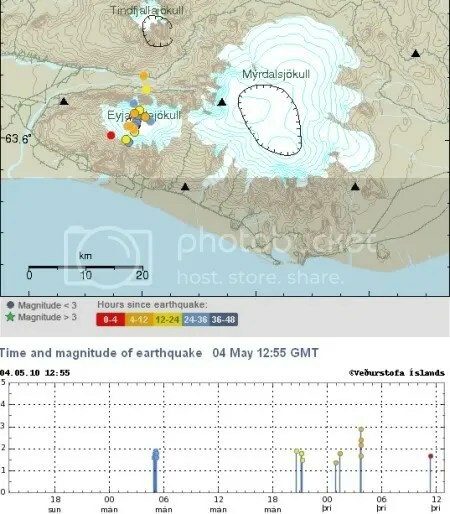 The very deep earthquakes could represent magma moving at depth, or subsidence of magma chambers which have been emptied by the eruption; the IMO bulletin reports deformation measurements which indicate continued subsidence at Eyjafjallajökull. Time will tell what implications this has for the future development of the eruption. Erik Klemetti has more on the IMO Eyjafjallajökull bulletin at Eruptions. I love this blog !